Book online for a discount. Get 36% off of Gordie Brown tickets at Hooters. 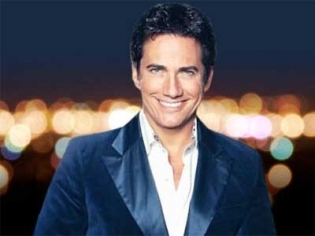 Celebrity impersonator and singer Gordie Brown will keep you entertained with his high-energy show. Gordie Brown delivers impressions of celebrities such as Garth Brooks, Robert DeNiro, Michael Jackson, Jack Nicholson, Sylvester Stallone, Elvis Presley, Sammy Davis Jr. and many more. His talent in impersonation is obvious, but you will be just as impressed with his comedy and musical skills. The show is meant to amuse and Gordie often changes the lyrics to roast the celebrity he is impersonating. He has incorporated not just the classic performers of old, but many new celebrities as well. Often Gordie does many voices as in all 3 of the BeeGee’s or in having a conversation between two celebrities. The showroom is small so every seat has a good view.